Retailers don’t need to be reminded about the importance of customer experience. It’s critical – and that’s been true since the dawn of retail. But the nature of that experience has been changing at a rapid clip in recent years, due in large part to well-documented shifts in technology and the emergence of digital channels. At the same time, retailers suddenly have more tools at their disposal for understanding and shaping the customer experience. For example, according to a recent Harvard Business Review survey sponsored by SAS, Intel and Accenture, 81 percent of retailers expect real-time customer analytics to be important two years from now, with 55 percent reporting that it’s already important. In some ways, this is hardly surprising, given the swift rise of sophisticated data and analytics tools. But that’s still a big uptick in a short amount of time. Maybe retailers are placing a greater emphasis on real-time customer analytics because they understand that these capabilities can have a huge impact not only on the customer experience, but on the entire customer value chain. 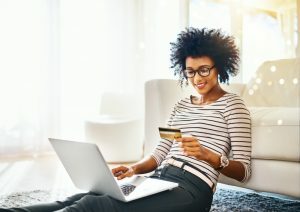 Timely customer insights can inform a host of key decisions on retail business issues, from improving or replacing traditional loyalty programs to transforming supply chain operations to make the business more responsive to customer needs. That’s a big deal – and it tends to get the attention of leaders across the industry. Where are retailers planning to invest when it comes to real-time customer analytics? What tools do they already have in place? What obstacles have they already encountered – and which are lurking around the corner? There’s only one way to find out: Ask them. That’s exactly what we did recently, in partnership with Harvard Business Review Analytic Services, Accenture and Intel. We surveyed hundreds of leaders across several industries, including 67 retail executives. And what we found might surprise you. Please join Accenture, Intel and SAS for a webinar discussion at 11 a.m. ET on Thursday, June 28. We'll address all of the questions listed above, take a deeper dive into the findings, and have a guided discussion on what it all means for the world of communications. Just RSVP here to add it to your calendar. I look forward to talking with you then!